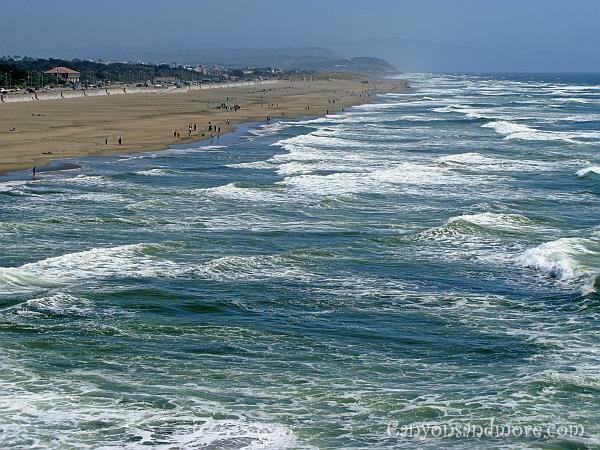 The Pacific Coast Highway 1 is an excellent way to discover California and the Pacific Ocean. 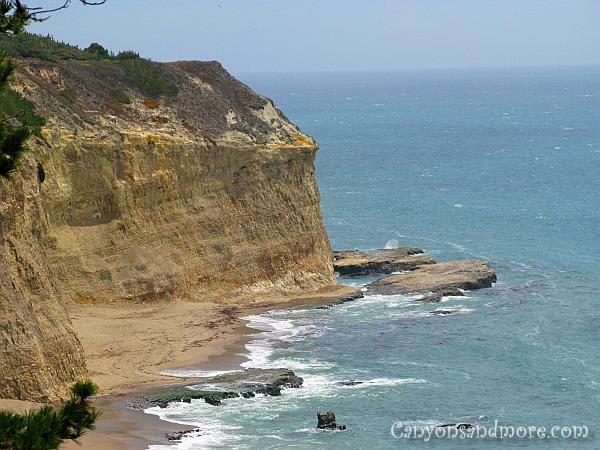 Cliffs dominate the Pacific coastline and each bend is a new landscape waiting to be discovered. 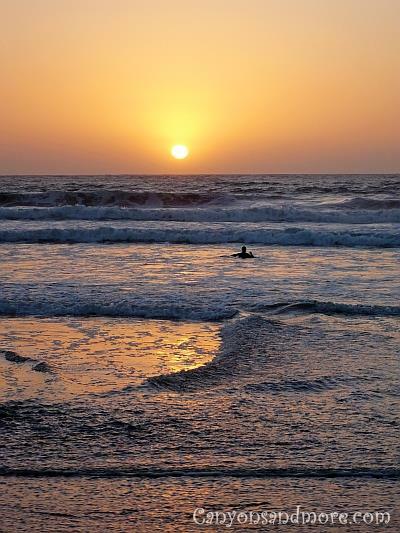 The Pacific Ocean will mystify you and make you want to return again and again. 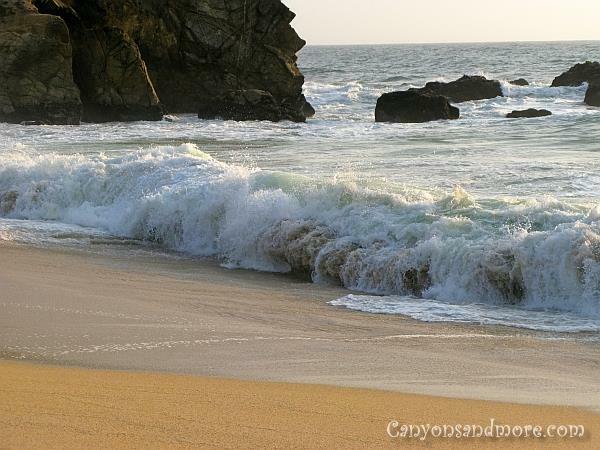 These images were taken along beaches between the cities of San Francisco and Monterrey on several occasions. This drive started in San Francisco. When you head south, you see lots of breathtaking cliffs such as this one in the image above. It is a fun journey as the highway serpentines along the cliffs of the coastline. There are many vista points along the highway to park, step out of the car and admire the scenery. Often there is also a possibility to walk down to the beach if you like. 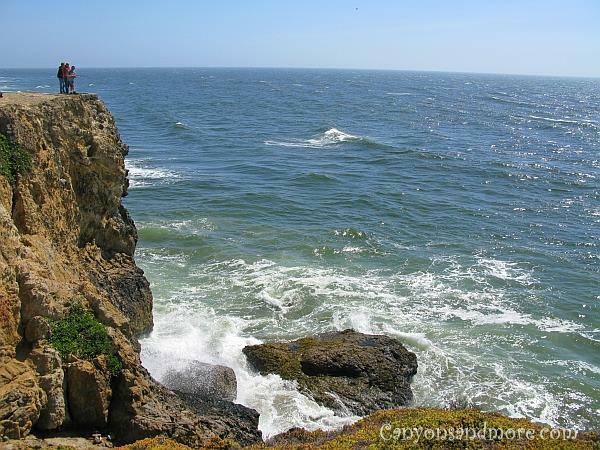 This vista point is located near San Francisco. Already at San Francisco there was wide beach to enjoy the Pacific. From the Cliff House you can see this spectacular view of it. 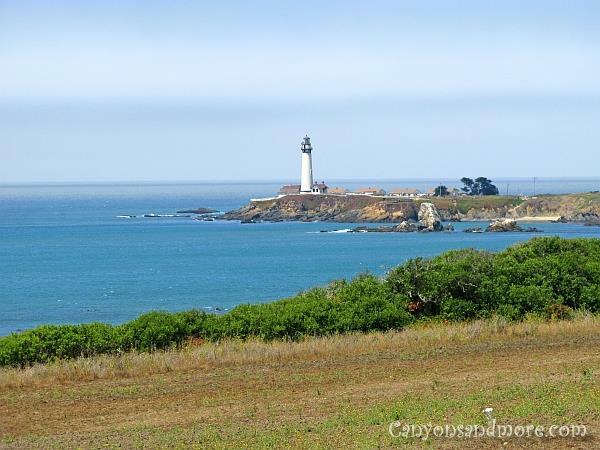 While driving south from San Francisco, you will see the charming historic Pigeon Point lighthouse out in the distance. If you have time, drive towards it and learn about its past and appreciate the sight of it. Just watching the waves and hearing nothing but their noise is a great way to meditate and leave all your worries behind you. This was also made at the Montara State Beach. 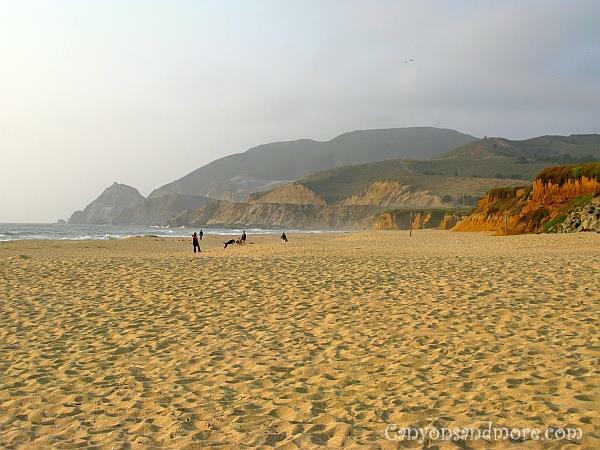 Montara State Beach is a lovely area to stop and take a pleasant walk. Behind you are majestic cliffs and in front of you the crashing waves of the pacific. There were many surfers here as well practicing their techniques. 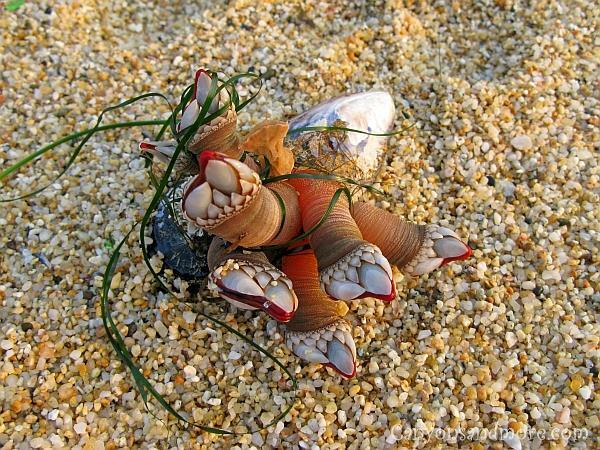 This natural treasure that was washed up on the beach was more than unusual and looked simply amazing and unique. It seemed to be a conglomerate of several living formations tangled together by the seaweed. It would be interesting to know what this is called. It was a cloudy day in Monterrey. It probably would have been a more pleasant experience with a sunny sky. You can walk around the pier there and there are plenty of chances to eat a bite before heading back home. 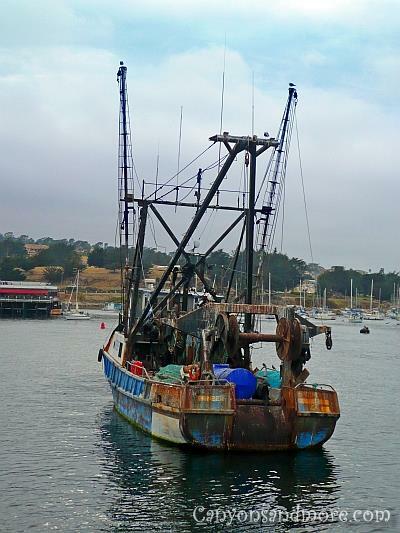 In the harbor there was a lot of sea lions, similar to Pier 39 in San Francisco and this rickety boat looks like it has seen a lot of sea travel in its time. 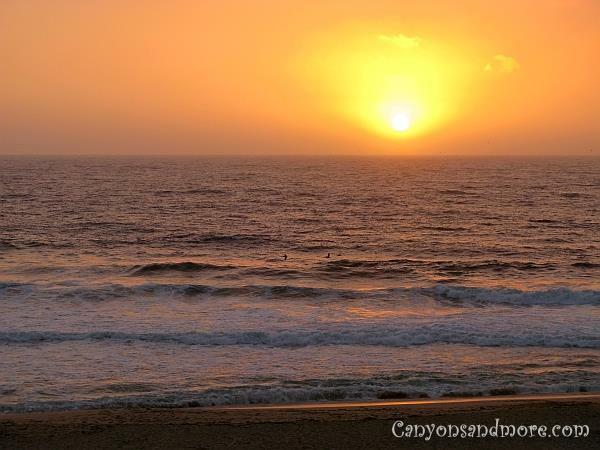 This gorgeous picture of a golden sunset was taken one evening near San Francisco, California at Montara State Beach. There was something perfect about this particular moment. The temperature was just right with just a slight breeze coming in off of the ocean. The sound of the waves crashing along the shoreline was so powerful and yet one could hear seagulls calling in the distance. It was perfect for meditating and turning off other thoughts for a short time. Who does not dream of doing this? Imagine after a long day a work, driving to the coast and freeing you mind from everything and just letting yourself be carried away in the rush of the waves.